Michael Livadas: Greek in heart, English by education, Michael holds a degree in Tourism & Food and Beverage. worked in large hotel chains all over Greece and Great Britain. He had gained experience in property development in the last ten years in Paros where he managed constructions of all sizes and was actively involved in the selling process too. As a building supervisor he has a great eye for details and knows all the trades necessary for property development. He is a gardening enthusiast and propagated thousands of rare palm species on his own land and created lovely gardens in Paros. He has got extensive experience in agricultural and building works. He owns a little tractor and all kind of agricultural equipment so he is capable of working on big plots too. Spiros Sideris: plumber by trade he has got tons of experience in working for new development projects but also in getting paros’s old houses up to modern standards. He is great with central heating systems and has got extensive knowledge on alternative heating appliances. A keen sailor, great with mechanics, his own invention of sea water desalination is patent pending. 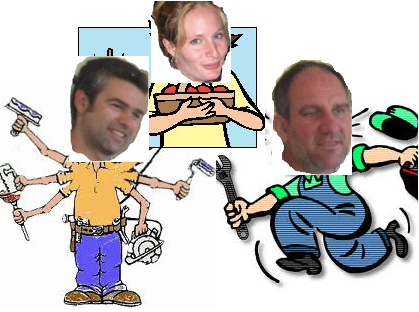 He is a kind of “fix it all” tradesman, someone you can rely on whatever problem you run into concerning your home. Anna Pollo: Anna is a landscape designer and holding an MSc university degree in Horticulture. She has got experience in landscape design and maintenance, including creating family friendly garden spaces, fruit- and vegetable gardens, herb gardens and vegetable plots. She published in her home country Hungary in the the magazine Homes and Gardens and designed gardens, yards, camping parks and office interiors in Hungary and Greece. She is very fond of organic gardening (without the use of chemicals) and has got a real love for succulents, plants so versatile and great to use in water-wise gardens! She will be of your help with all kinds of garden projects let it be a small yard or how to use hectars of land. 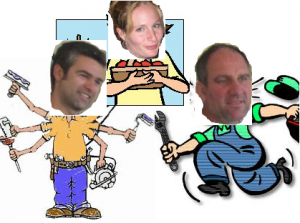 Our team is at your service for all kind of home & garden projects, we are not afraid to get down and dirty! 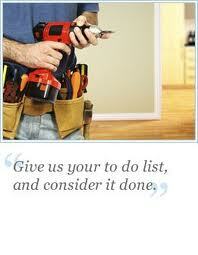 Give us a call, we are sure that we can find a satisfactory and cost effective solution for your project too. Still hesitating? Please read our clients opinion about our services:Testimonials and have a look at our Gallery.